Environment Minister Therese Coffey said it came in a drive ‘to encourage more projects to come forward’ and give applications longer to prepare. A six thousand pound per hectare woodland grant has been rolled out for 12-months of the year. It came in the form of an extension to the Countryside Stewardship Woodland Creation Grant which offers farmers, foresters and landowners a one-off payment of up to £6,800 per hectare to ‘tap into the environmental and financial benefits of tree planting’. Environment Minister Therese Coffey announced the move this week suggesting it came in a drive ‘to encourage more projects to come forward’ and give applications longer to prepare – replacing a previously time-limited application window. It followed calls tree planting must be made easier to encourage investment and offer new opportunities in the uplands post-Brexit. The issue was a hot topic at a meeting at the EGGER manufacturing site in Hexham, Northumberland, to discuss the role of forestry and wood processing in the Borderlands Growth Deal which is hoping to revitalise Northumberland, Cumbria, Dumfries and Galloway, the Scottish Borders and Carlisle. Councillor Peter Jackson, farmer and leader of Northumberland County Council, lead calls to reduce the amount of timber being imported and instead rely on the local Kielder Forest, the UK’s largest man-made forest. He said the community was ‘not doing enough’ in terms of production and the potential for the area, suggesting it was instead ‘common sense’ to grow more timber. “We need to find a way to get through funding and bureaucratic issues because it is not particularly easy to plant a new forest, for reasons that escape me,” Cllr Jackson said. 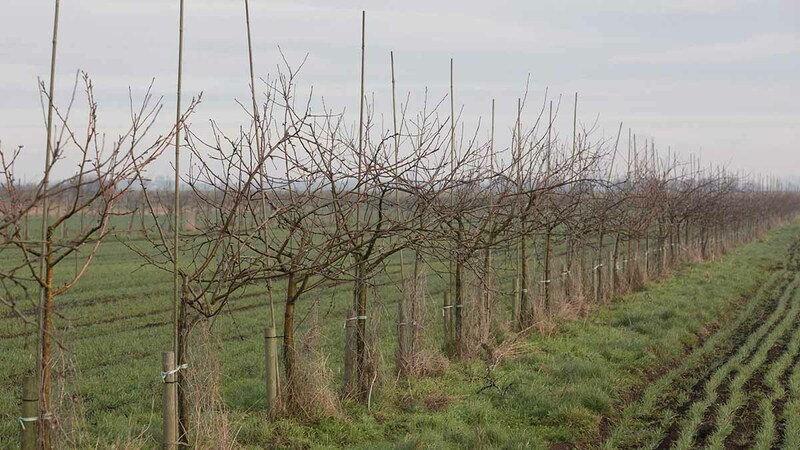 EGGER forestry business development manager Simon Hart said although it is difficult to get permission to plant trees in the North of England, the area was ‘letting the opportunity slip through its fingers’. A company document has asked for the Deal to recognise a forestry investment zone to stimulate new planting in Northumberland; a strategic timber transport fund to match the one in Scotland; and a skills audit to plug future gaps in the industry. For more information on the Countryside Stewardship Woodland Creation Grants, click here.